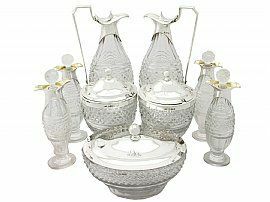 This magnificent and large antique George III cruet set consists of a preserve pot, two mustard pots, two large oil/vinegar bottles and four small oil/vinegar bottles displayed on the original stand. 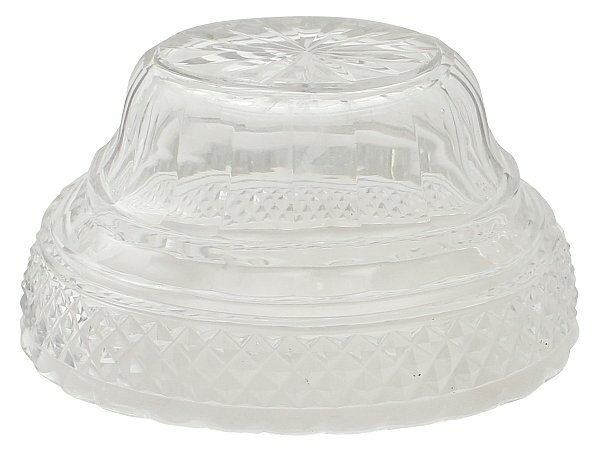 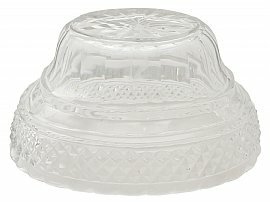 The original hobnail cut glass containers have an oval rounded form onto an oval spreading base. 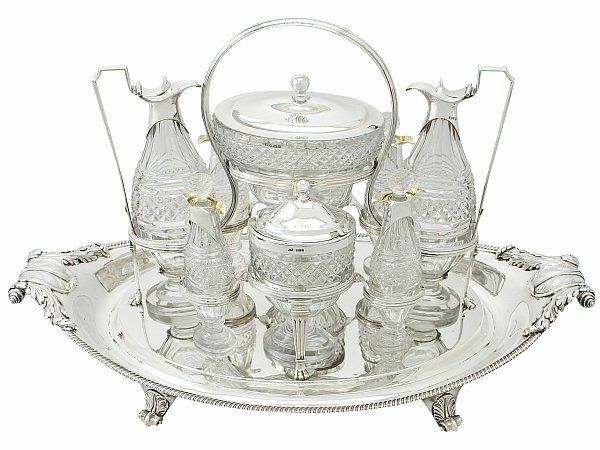 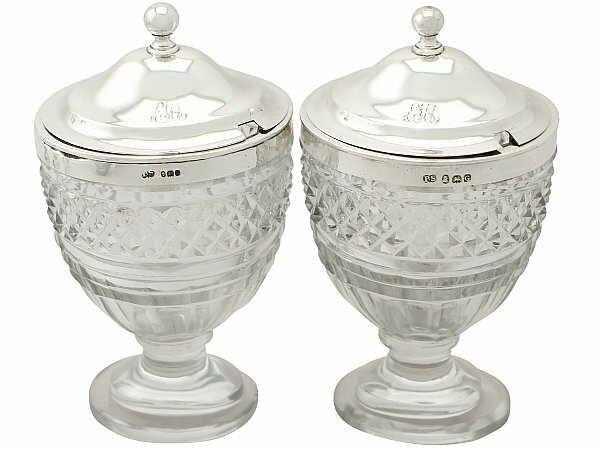 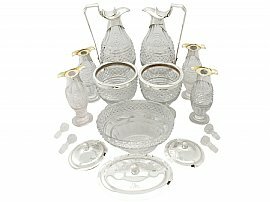 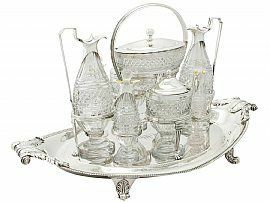 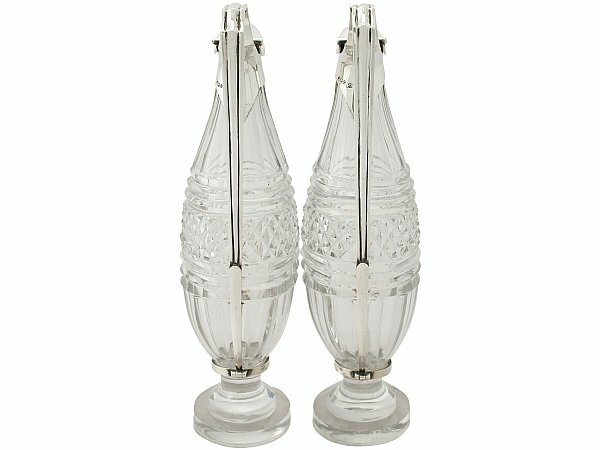 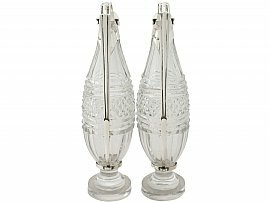 Each vessel of this fine antique cut glass cruet set is fitted with a hallmarked plain sterling silver mount, with exception to one of the small oil bottles which has an unmarked mount. 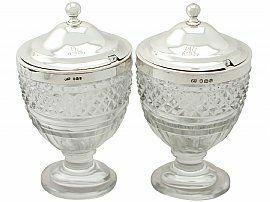 The impressive preserve pot and mustard pots retain the original push fit domed covers, embellished with the original engraved initials 'EMA', and surmounted with ball style finials. 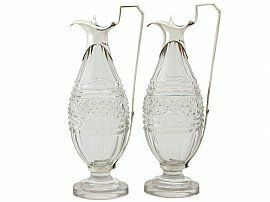 The two large oil/vinegar bottles retain the original hinged covers, and have angular thread decorated handles. Each small bottle has a sterling silver double lipped pouring collar, with silver gilt to the uppermost surface of the lips, and fitted with the original glass stopper. 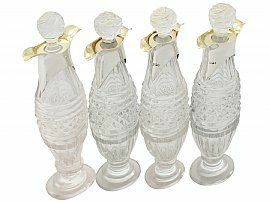 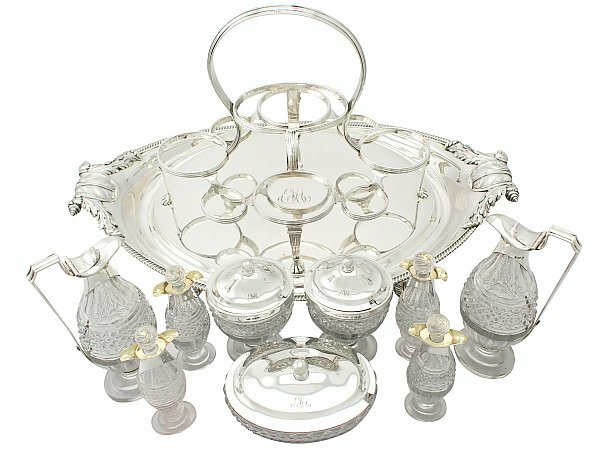 The components of this impressive Georgian antique cruet set are displayed on the original hallmarked plain oval shaped stand. 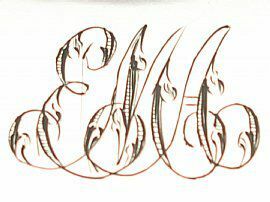 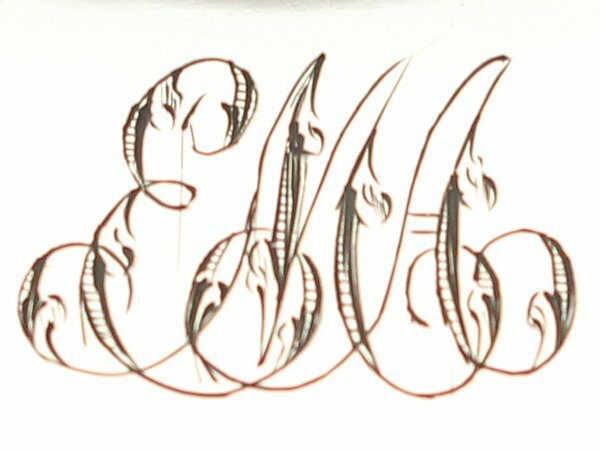 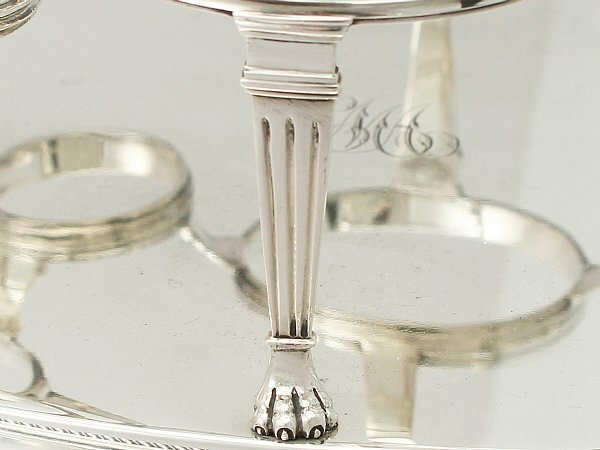 The stand is ornamented with impressive, integrated, chased acanthus leaf and volute scroll decorated handles, a gadroon decorated border around the rim and the original engraved initials '˜EMA' to the centre. The stand retains the original thread decorated detachable hallmarked carrying frame incorporating nine receivers held on four column style supports with lion paw feet, which secure to the underside of the stand with locking nuts. 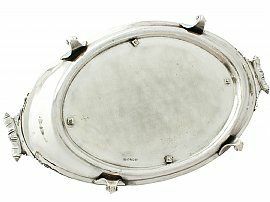 The frame incorporates a central, rounded carrying handle. 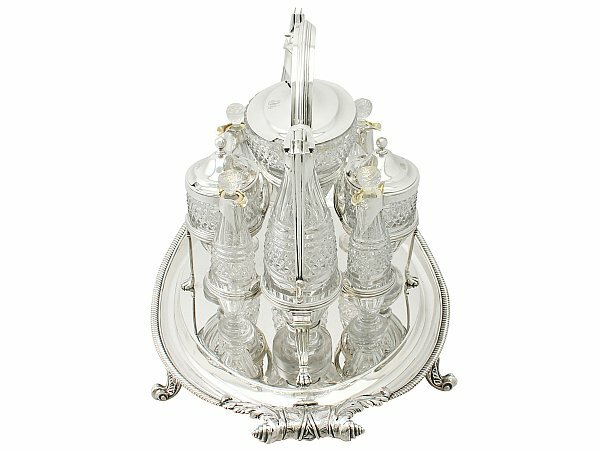 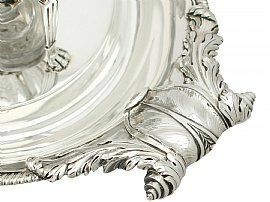 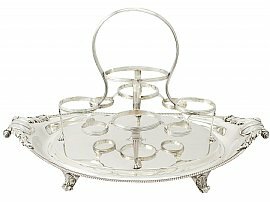 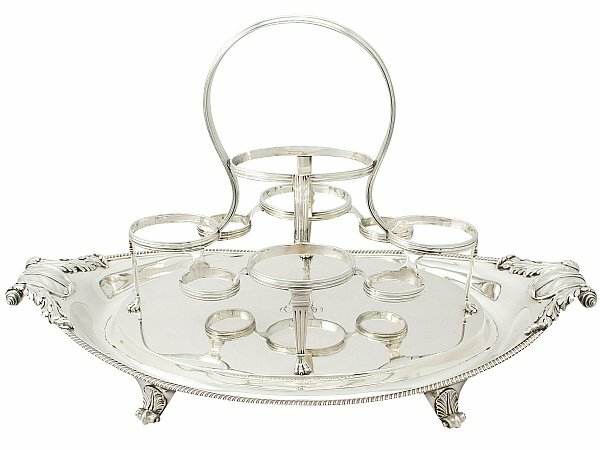 This impressive, original stand is supported by four cast sterling silver scrolling leaf decorated feet. 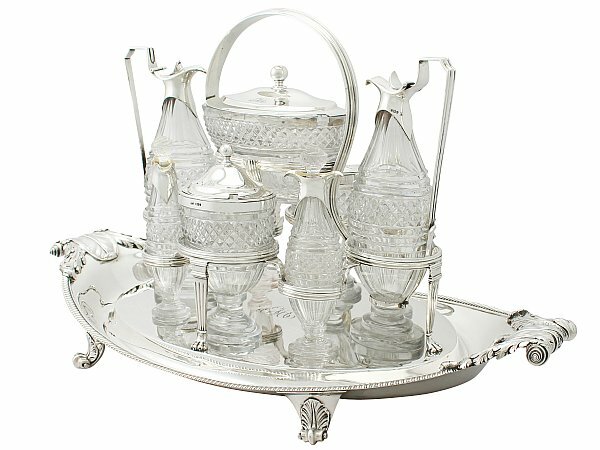 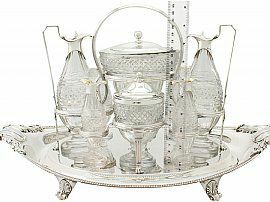 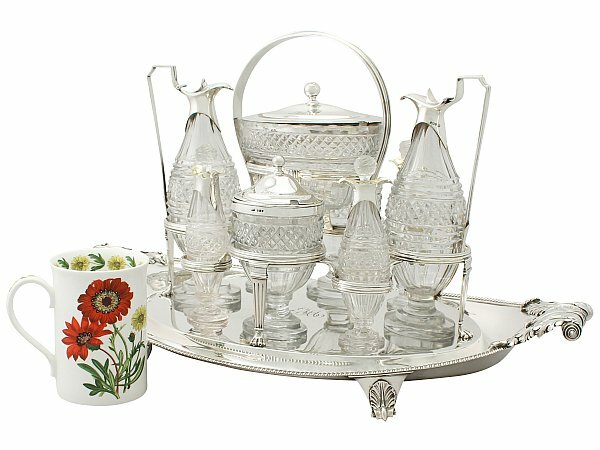 This magnificent and rare, antique cut glass cruet set with stand was crafted by the very collectable and important London silversmith Paul Storr. 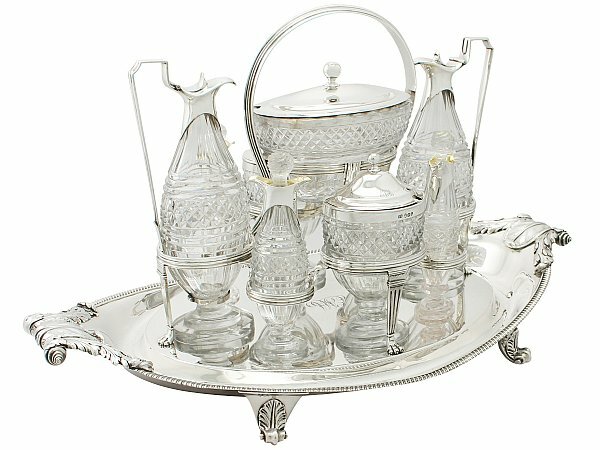 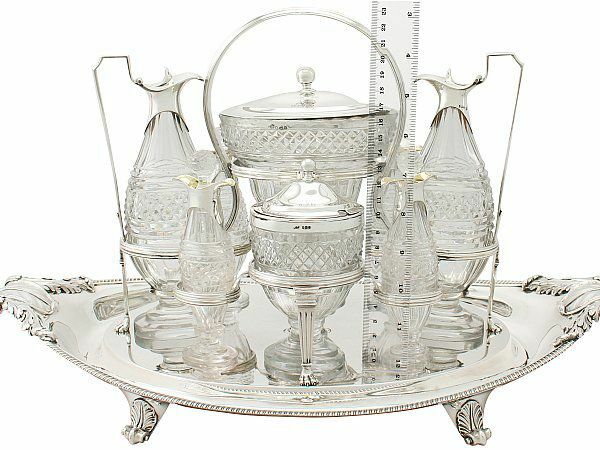 This antique cruet set is an exceptional gauge of silver, fine quality and in exceptional presentation condition. 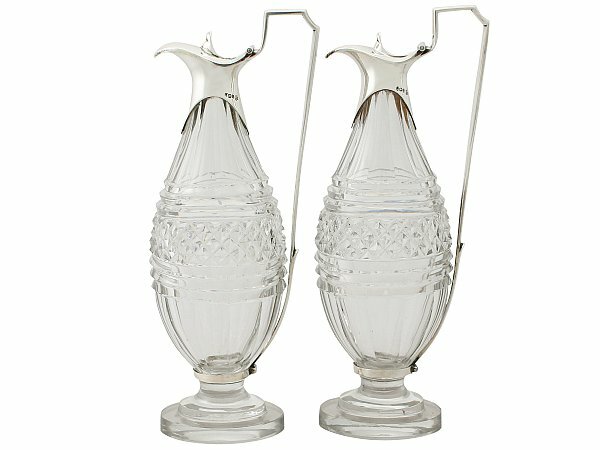 The glass receptacles are in perfect condition. 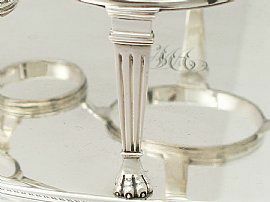 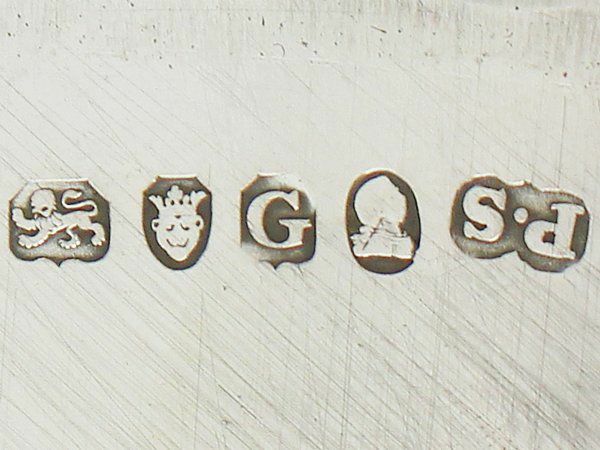 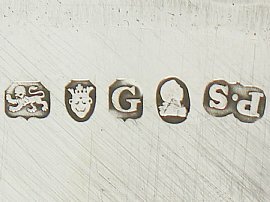 Full hallmarks are struck to the underside of the stand, to the rim of each mount are all very clear. 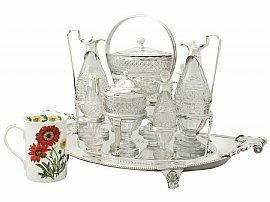 Part hallmarks struck to the cover of the mustard pots, large bottles and preserve pot, and to the frame handle are also very clear. 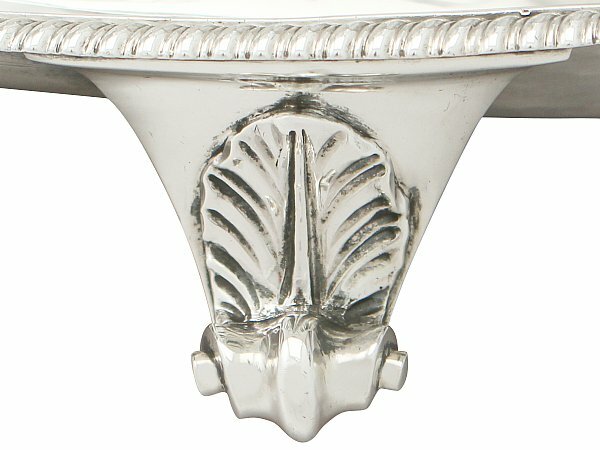 Height to top of handle 25cm/9.8"